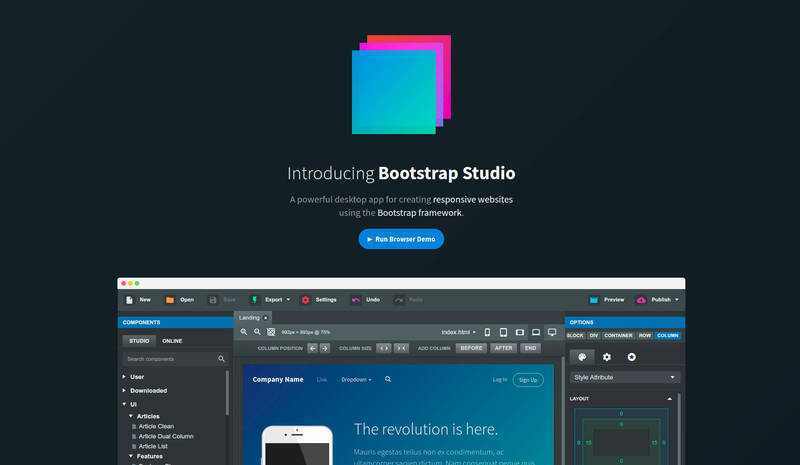 Foundation or Bootstrap or another? As we’re allowed to chat about other platforms here, and there has been some great discussions about Blocs, WP and a few others, I thought I’d start a thread to help me find my next platform to play with. I’ve no plans to move from RW, I’d just like to broaden my arsenal. NOT database/browser based. I’m not looking for a WP alt. I know it’s an option, but it’s just not for me. Files maintained and edited locally. I don’t like the idea of editing everything in the browsers, al la WP and the many open source CMS systems. Ability to work across different machines in different locations, often for long periods. I spend time in Spain, sometimes for a month or so at a time, so I need my entire workflow to be portable, and able to cope with poor internet in the event of emergency edits/updates etc. WYSIWYG based. I don’t need it as WYSIWYG as RW, happy to work with code blocs, I just to be able to see a visual representation of what I’m doing, either while I’m doing it or with a preview system. To flesh that out: One of the platforms I use is pure code, albeit the stuff I do is simplified css. I text Taco HTML editor to store the code snippets, drop them to the page and move them around or edit them as required. I’m happy with that approach. NOT reliant on a single entity, a la RW, Blocs, etc. I don’t mind a learning curve. I’ve the time to put into this. I keep coming around to Foundation or Bootstrap. I understand working with these isn’t as easy to get started with as RW etc. But, these frameworks/platforms certainly seem to be more futureproofed than most. Welcome all comments, discussions and ideas. Shall this be only for you, or also for clients? Me. I don’t much in the way of CMS. My experience is that if the clients want proper self-updating (beyond simple text areas) someone somewhere has sold them on WP, and I’ve no interest in going near WP. Well. The NOT browser based and WYSIWYG is kinda constraining. Maybe my use of WYSIWYG is poor. What I mean is some way to preview work in progress, a la Taco, RW, Blocs etc. Preview in browser is fine, but not developing in browser like WP etc. It’s a kinda more “code based” but you don’t have to be a coder to use it. It’s very reasonably priced ($29 or $60 for lifetime). It’s cross platform (Win 7+, macOS, Linux) and produces clean code. They have a free browser trial (chrome only) to get an idea of what it’s capable of. Move to Spain, sit in the sun while managing your clients and hire a front end developer for next to nothing on a zero hours contract or no contract at all. After a lifetime hiring people, nah. I’d sooner just do it myself. Staff, no matter how you employ them, pay them or treat them are all a total pain in the hole. Move to Spain, sit in the sun while managing your clients and learn to code. It is a lot more logical than most of these weird apps. Don’t use a framework by default - they are big bloated lumps of dung. This profound statement has changed the way I think, thank you. Reality isn’t quarks, fields, RW or WP; the only real thing is information. To answer your original question, you just need a text editor, Safari and make https://www.w3schools.com/html/ your most visited site. LOL. When I’n using the platform that requires code, that site is always open in a window! But at the moment I’m not looking to code sites from scratch. First and foremost, it’s not what I do. My (limited) talent when it comes to websites is knowing what works for the average user, not having a head full of code. Being able to hand code a site is a nice idea, but given how fast new trends in website requirements and code itself change, I’d would hazard to say it’s just not time or cost effective to learn to code an entire site by hand. If I were in my 20’s and at the start of a career? Maybe. But I’m 52 (nearly), already in semi-retirement and looking to full retirement in a few years. Commercial websites are for me an easy way to keep an income flowing without having to actually do anything. I enjoy the challenge of coding, but I’m not naturally a coder: I don’t have the brain for it, nor the will. All I’m looking for at the moment is another framework to play with. I don’t mind a learning curve. Not really what I’m looking for at this moment. Sparkle will meet your requirements and it has some lovely reviews on the App Store, so it must be good. Not like that now discounted RapidWeaver that’s appeared on the App Store.